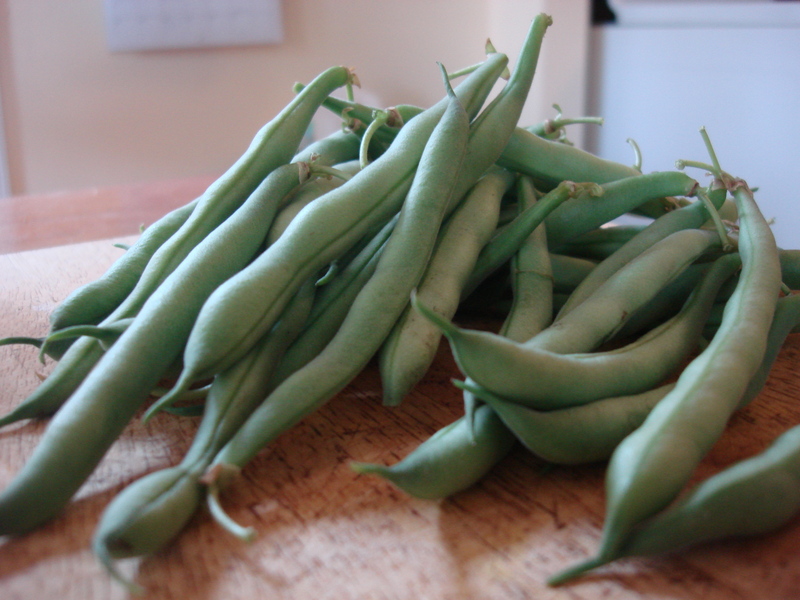 We’ve had piles of green beans this season, both from Restoration Farm and from our own little beds. This means that sometimes they stay in the fridge longer than we meant them too. Then, when the season is over, we’ll probably buy from the supermarket (ssshhhhhh – not particularly seasonally virtuous, but I am working on it) and they won’t have that snappy-sweet farm freshness that we have become used to in late summer. But now I have a new way to make them taste much, much better. 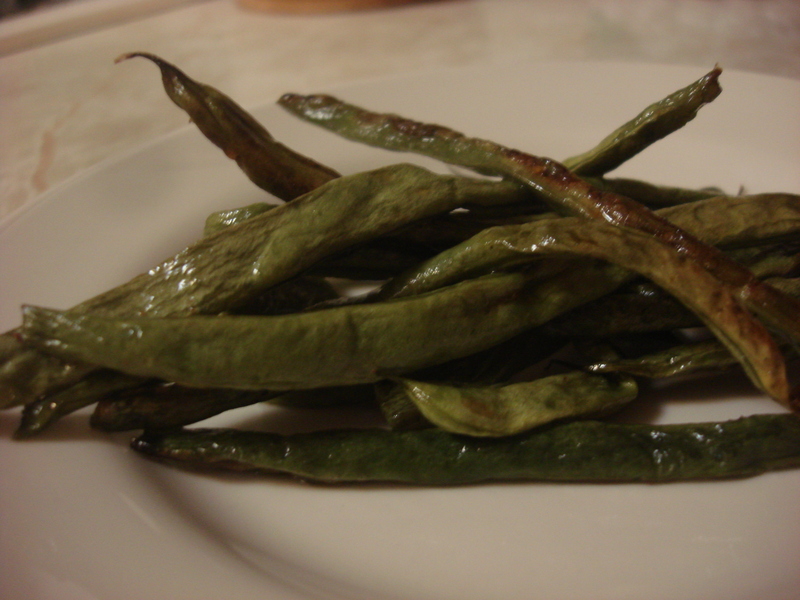 My solution to most greens I need to use up is to saute with garlic, but Cook’s Illustrated magazine recently featured a roasted green bean recipe precisely to overcome the aging bean problem. The roasting idea came as a surprise to me, but they had a perfectly reasonable scientific answer for why it works: the hot, dry heat of the oven breaks down the tough fibers and an enzymatic reaction makes the starches convert back to the sugars of youth. I wish I could stick my own self into a hot, dry oven and get similar results. But anti-aging fantasies aside, this recipe really does make relatively dull beans into sweet revelations that will have you eating them with your fingers, like sweet potato fries. And best of all, the prep is minimal (and just one month into the school year, I am very much over the prep thing). My dad’s actually came out better-looking than the ones I made a few days later (yes, this bean recipe is addictive), but my shots were awful! Worse than these! Heat oven to 450°F and place rack in the center. 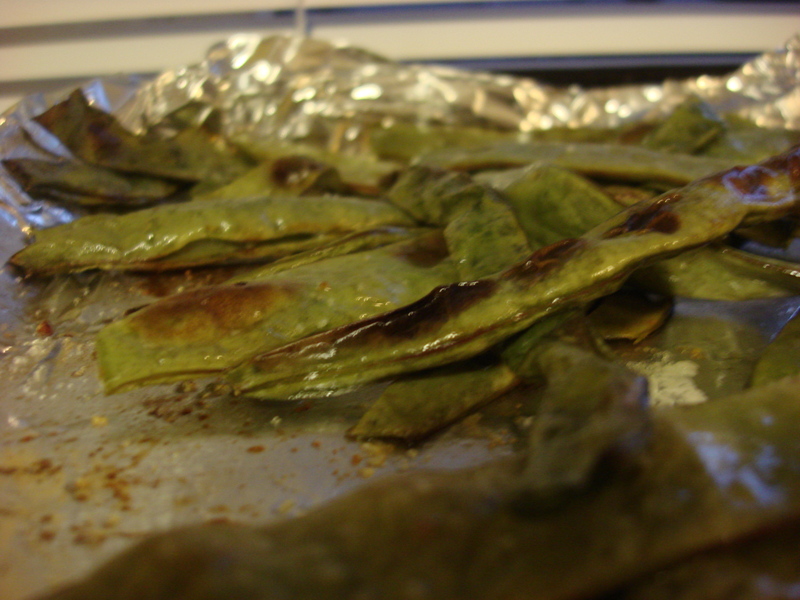 Line a rimmed baking sheet with aluminum foil and spread the beans out on the sheet. Drizzle the oil over and use hands to spread the oil evenly. Sprinkle the salt and again, toss to coat. With the beans in an even layer, roast for 20-25 minutes, turning once about halfway through cooking. Continue roasting until browned in spots and beginning to shrivel. Adjust seasoning, sprinkle with lemon and pepper if inclined, and serve. I love roasting veggies. This looks amazing.